When the weather gets cold, you can count on Family Comfort Heating & Cooling to bring their expertise in heating systems to all those in the South Placer and Sacramento Area. 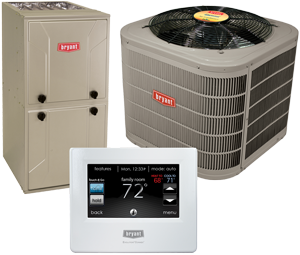 Whether you need a new furnace, or simply seasonal maintenance on your existing unit, we've got you covered. With 24-hour emergency services and a staff of trained professionals, don't hesitate to give us a call at 916-459-0405 today! Family Comfort Heating & Cooling handles problems with all makes and models of air conditioners, restoring perfect comfort without delay. Count on us for convenient appointments times, punctual arrival, and 24-hour Emergency Service throughout the South Placer and Sacramento Area. Family Comfort Heating & Cooling utilizes the most technically advanced HVAC system design software on the market. Wrightsoft Engineering Software is a computerized version of the Manual J method, accurately calculating residential and commercial loads and dramatically shortening design time. Ductless mini and multi split systems are an ideal solution for temperature control in a single or multiple rooms, where ductwork is not available or an option. Expand your living or working space into a basement or garage. Improve comfort in difficult to heat and cool rooms. Established in 2006, Family Comfort Heating & Cooling has tailored our commercial HVAC services to better accommodate local businesses. Recognizing the challenges of time, weather, and budget, we go to great lengths to provide convenient appointments, prompt arrival, competitive pricing, and sustainable solutions to every challenge. Contact us at 916-459-0405 at the first sign of trouble, and rest assured, our licensed technicians will focus our extensive resources on swift and satisfying resolution. Expires 12/31/2017. Please contact Family Comfort Heating & Cooling for more details. We are a Local Family Owned Company From Start to Finish. Ask About our Lifetime Workmanship Warranty! Don’t hesitate to call on the professionals from Family Comfort Heating & Cooling for all of your year-round temperature control needs. We keep you cool throughout the summer, and perfectly warm in winter, with expert installation, maintenance, and repair of essential systems. As a Bryant Factory Authorized Dealer, we meet strict criteria in every aspect of business management, customer service, and technical proficiency. We are a certified air balancer. Our licensed technicians have trained above and beyond industry standards, consistently updated, and equipped with leading-edge tools and technology. Our fully outfitted fleet of service trucks is never further than a phone call away, ensuring prompt arrival, most jobs completed right on the spot, and 24-hour Emergency service across Rocklin, CA, Roseville, CA, Lincoln, CA, Granite Bay, CA, Citrus Heights, CA, New Castle, CA, Antelope, CA, Penryn, CA, Auburn, CA, Loomis, CA, Ophir, CA. Why Family Comfort Heating & Cooling? We specialize in both commercial and residential HVAC service, providing the same skilled, meticulous, and ethical job performance in every application. Established in 2006, Family Comfort Heating & Cooling has assembled a team of qualified technicians who make all the difference. Because of their conscientious attention to detail, in-field experience, and expertise, you can count on your heating and cooling equipment to operate more efficiently, reliably, and to higher expectations. We deliver lasting solutions to every type of challenge, whether you’re looking for design/installation, replacement, upkeep, or repair of a ductless option, heat pump, furnace, or air conditioner. When you contact Family Comfort Heating & Cooling at 916-459-0405, for heating/cooling service in the South Placer and Sacramento Area, we optimize your comfort and deliver greater rewards.